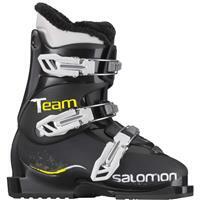 For the skier with a C, D or E width shoe as most common foot width. Average instep height but due to the sensitive nature of this area of the foot as many blood vessels flow through here it's still important to make sure the blood is not restricted. Most common lower leg shaft allowing the boot to wrap around the lower leg for performance as well as comfort. For a blend of increased power to be transmitted to the ski while maintaining sufficient ankle flex to swallow up varied terrain.